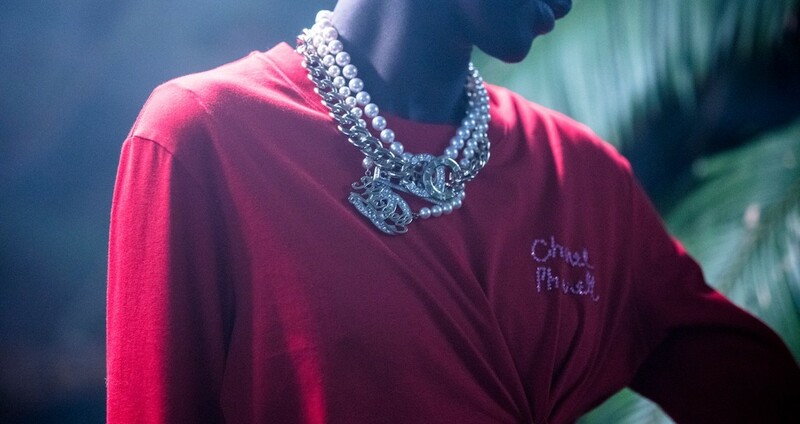 After much anticipation, the 45-year-old fashion icon and recording artist has officially unveiled the stunning campaign for his clothing and accessories collaboration with Chanel. One of our favorite European high-fashion e-tailers, MyTheresa.com, is calling upon heritage brand Prada to create a celebratory edition line especially for luxury online shoppers. The Versace Spring/Summer 2019 collection made its bold debut during Men's Fashion Week in Milan, Italy. Star models like Kendall Jenner and Bella Hadid also made an appearance on the menswear runway. The brand has unveiled images from their latest advertorial photo shoots with actors Joe Alwyn, Nick Robinson, Paul Dano, and Algee Smith, who are all lending their incredible style sensibilities to this FW18 season. This energetic and whimsical cruise-season designer line is all about making a statement – and happily enjoying the sun, sand, and surf. What happens when you combine the sporty street style aesthetic of Supreme with the classic and preppy fashion sensibilities of of Lacoste? Get ready for a sea of nautical stripes, stylish windbreakers, and denim bucket hats, which comprise this collaboration's Spring/Summer 2018 capsule collection. Style experts are saying the 00s are back. What will designers deem worthy of a fashionable revival? Here’s a little guess.